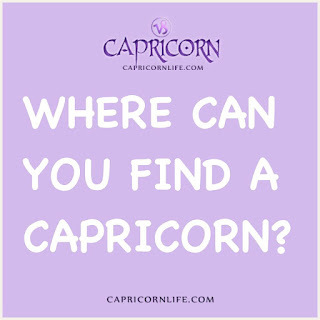 Where Can You Find a Capricorn? | Capricorn Life - Capricorns Rock! 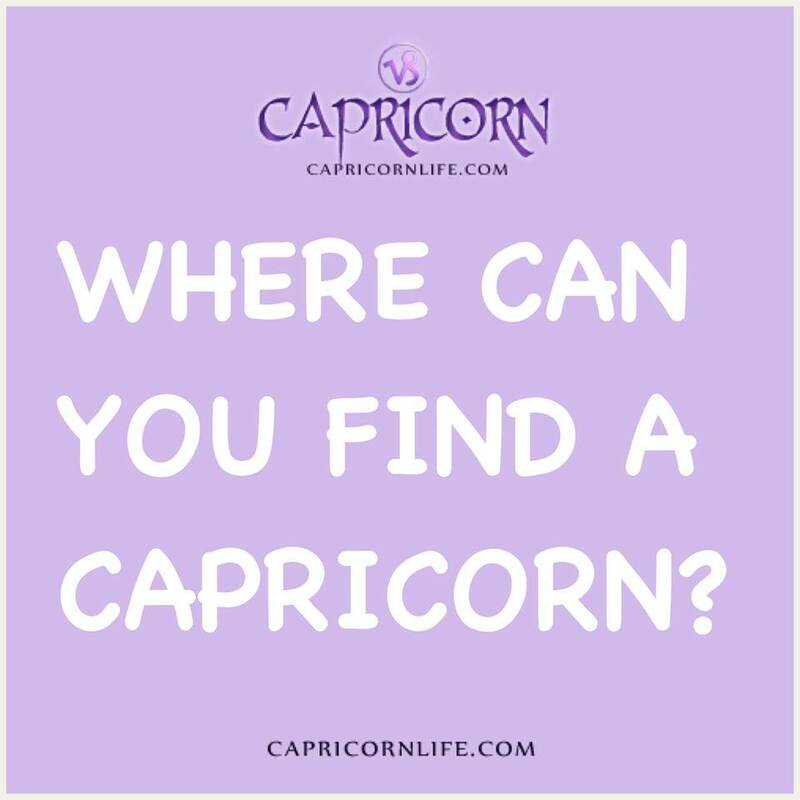 Where Can You Find a Capricorn? Just about anywhere he can advance or improve himself. Anywhere he can get ahead and further his secret ambitions. Try a social gathering. The Capricorn is not a carefree party type, but the goat we're studying is a social climber as well as a mountain climber (in a good way). Pick a mixed group, preferably in the upper income level. You can also try the middle income level, but the lower you go beneath that, the smaller your chances of finding a Capricorn. He probably won't be wearing a lamp shade on his head, tap dancing or calling attention to himself in any way; he'll be the admiring spectator in the background (observing everyone). You may not even notice him at first as he quietly and calmly watches all the flashy, pushy, charming, aggressive and brilliant personalities around him. Everyone in the group will seem to have superior equipment for the race-any race. Lots of them are bluffing, some of them are afraid, but they're all highly polished, and the Capricorn doesn't seem to have a chance against them. Yet, he will win.